After a successful Kickstarter campaign the BLOCKS modular smartwatch has now made its way to the FCC, indicating that it shouldn’t be long before the unique wrist worn wearable will be available to purchase in stores throughout the US. The BLOCKS modular smartwatch is now currently available to preorder priced at $330 and is available either in onyx black or sunrise red. The starting price gives you the ability to choose from 4 modules with extra modules available priced at $35 each. Modules take the form of an extra battery module for a longer useful life, heart rate monitor, GPS, adventure module and a programmable button module that allows you to control other applications or functions if desired, with others on the way. Check out the promotional video below to learn more. 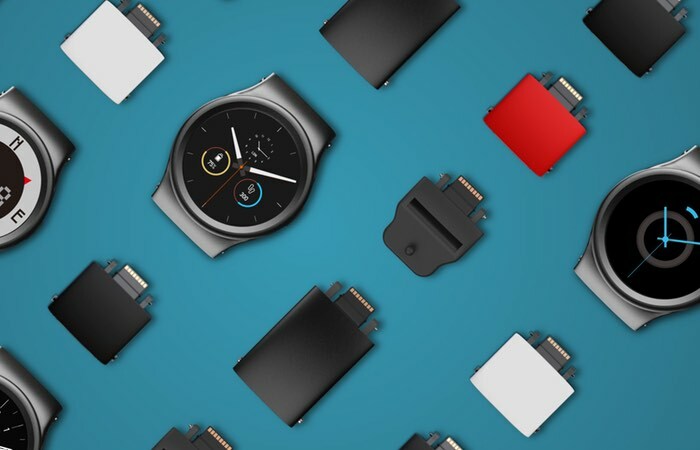 The world’s first modular smartwatch is here. BLOCKS lets you choose the features and designs that best suit your lifestyle and needs. BLOCKS core is a fully featured smartwatch, fitted with movement sensors (gyroscope, pedometer, accelerometer), bluetooth connectivity, WiFi and an e-compass. For more information on the new BLOCKS modular smartwatch jump over to the official website for details via the link below.